It is so easy these days to find the right car to buy even without leaving home. You can use online classifieds, Google search box to search for, find car dealer websites, carfinder.ph, buy and sell website, olx, ayosdito, sulit, freeclassifieds and more. You can even find one from Cebu or any other province in the Philippines while in Manila and later on do the transaction there. Used cars are just about everywhere you go when you have the power of the internet and it only requires very little knowledge in online search and research as the instrument of assistance. But what does it really take for a buyer of used car in the Philippines to be able to come up with choices that are of the best advantage to you, the buyer? How do you assure yourself that you can come up with the best choices and the best deal? How do you know if there are promos or incentives being offered by some private seller, a car dealer, a lending company or yes, even your loan assistance expert or agent? Well, there are secrets that even if many of us know, very few would realize possible to use until you could come up with an idea that will take you to weeks and even months of searching and in some sad cases, you won’t even get to realize it until it’s too late – you already bought a used car without being able to avail of the best deal discount. So below are some tips form your expert and professional loan consultant, Sam Casuncad to help you in car financing or buying in cold cash a second hand car in the Philippines. Finding the Right Car – The right car may not always be the best car but speaking of practical reasons when buying a used car will always give you the advantage both from being able to pay on time and from preventing a foreclosed property mortgage. If you don’t have the right income to pay for the car you need, you might as well want to settle for the next best. This way, you avoid paying for months until you realize you can’t pay anymore and you are ending up with foreclosure of your mortgaged car. On the other hand, if you are buying in cash, then there is no need at all to consider looking for the right car with the right price based from your income and expenses. Searching Online – If you were never used to making a search online, well you might want to consider doing this today and learning it all. The best offers may not all be found using the internet but I’m pretty sure that you have a notch ahead over the others who are also trying to find the same used car unit as you are so be ahead and use the power of the internet. I’ve already mentioned above the best places where you can search for the best deals and most fit car for your type of a person and your finances. If you consider financing as an option at this point in time, go get a copy of the OR CR and ask from the dealer or private seller and tell them that you are going to have the car financed through a lending company. Getting Assistance from a Professional Loan Consultant or Agent – It is always a must to ask for assistance from a professional loan agent rather than become a walk-in applicant. The reason is pretty simple – when you walk in to any Philippine lending company, you will not have anybody to follow up on your used car financing loan application while it is on process. The fear of getting charged by lending companies for agent’s fee is already long gone. Agents of today’s loan industry no longer charges for agent’s fee or broker’s fee because the charges are already being taken from the processing fees that the loan applicant will pay at the end of the loan approval process when the borrower or client decides to avail or take the loan through signing a loan contract. Furthermore, professional and qualified loan agents know how to handle all sorts of problems and can pre-qualify you ahead of the application so as not to end up with disqualification or declined loan application. Undergo Pre-Qualification for the Right Loan – With car loan even if you want to buy a car, there are few cases where you can qualify for both car collateral loan or car financing. The difference between these two types of loans is big enough in terms of the interest rate offer. 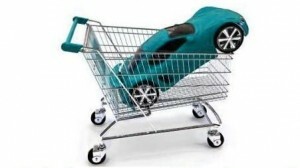 With a car loan financing, the interest rate is usually lower than the car collateral loan. Let your loan agent qualify you through this one and determine which one is best for you although basically, if you qualify for financing, it is the most ideal to avail of when getting a second hand car. For pre-qualifying terms, ask your loan agent. Producing the Complete Set of Documentary Requirements – As a professional and qualified loan broker for multiple top lending companies in the Philippines for both collateral and non-collateral loans as well as bank loans, I know how it works with respect to specific loan requirements. Different loans have different requirements for a fact. As I’ve mentioned above in undergoing a pre-qualification process, you have to make sure you will be approved of your loan application. Afterwards, you will have to make sure to produce only authentic and not fake documentary requirements. Make a reservation on this list of requirements by asking your agent what else you can produce to make sure that your car loan financing application will be approved fast. In my case, I always make sure to ask my clients what sources of income they have. This will give me the advantage to know the chances of getting approved of higher loanable amount for a wider choice of loan turnover at the end of the application. This way also, borrowers have the choice to either go for the maximum amount or just go for a lower one. Communication with your Agent – After making sure everything else is on hand from the requirements to undergoing a pre-qualification process, you are now ready to apply. Make sure first though that you have the contact details of your assisting agent. This will help you a lot in following up with your car loan financing application. Next is to get the lending company authority person’s telephone or contact numbers regarding follow up of your loan application. Ask for Deals and Promos – Some lending companies offer positive incentives from time to time. Make sure to ask your lowest interest rate option for your second hand car financing loan. Better yet, try to convince your agent to let you know if there is anything you can do to achieve the lowest possible interest rate so that when you are ready to file your application and fill up the form, you know how to talk to the marketing assistant of the lending company. Read Your Loan Contract – After making sure you did everything to get your approval at the fastest possible time, all you have to do is read carefully your car loan contract or to the least, allow the loan officer present to you all the loan contract terms and try to ask questions when something is not clear to you from interest rates to charges and fees of the lending companies. Be sure about this or there’s no getting back. Own Checking Account – Although very few would recognize this aspect as an instrument for faster loan application approval just like when you are looking to have a second hand car financed through loan, this is very important consideration. It is a must to have your own checking account already existing and established. Don’t worry if you don’t have one because the lending company will absolutely refer you to an affiliate bank with the initial deposit with an option to deducted to the loan proceeds. All lending companies require payment through issuing a post-dated check for monthly amortization of loan. Prepare Original Documents Upon Loan Release – Although at this point you are already in the last part of the whole process, I would like to reiterate that you will be obliged to prepare and show as well as surrender some of the original documents like the OR CR of the car upon release of the loan, it is highly suggested to expect your loan release and ready all the original docs so that when the time comes for the release of the loan. This will help you stay away from last releasing time untowards incident. Loans don’t get release if required original documents are not present for verification purposes like valid IDs and so on. Be sure you have it all prepared prior to final release of loan for your used car financing application.